loving the fact that I get to show off Memory Works products! 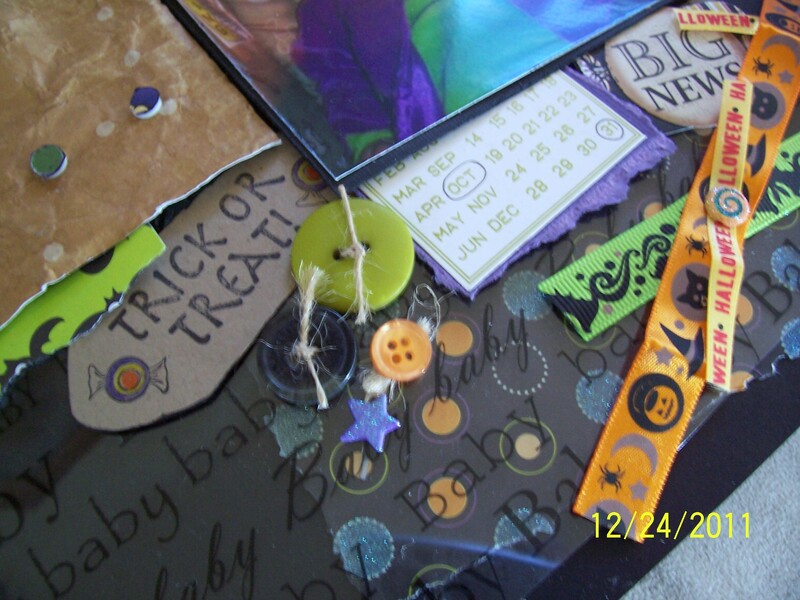 As I mentioned in an earlier post, I’m an Independent Consultant for Memory Works, whic sells all kinds of scrapbooking supplies and tools. All the name you see in the magazines and online, plus they have their own Simple Stories line, which has about 10+ collections itself. And each collection, while themed, can be used with all the other collections and can be used for page themes other than what they’re designed for! I’ll give a quick ‘for instance’: their Destinations line mainly deals with travel, however, I used elements from it for a page for my sister’s college graduation. 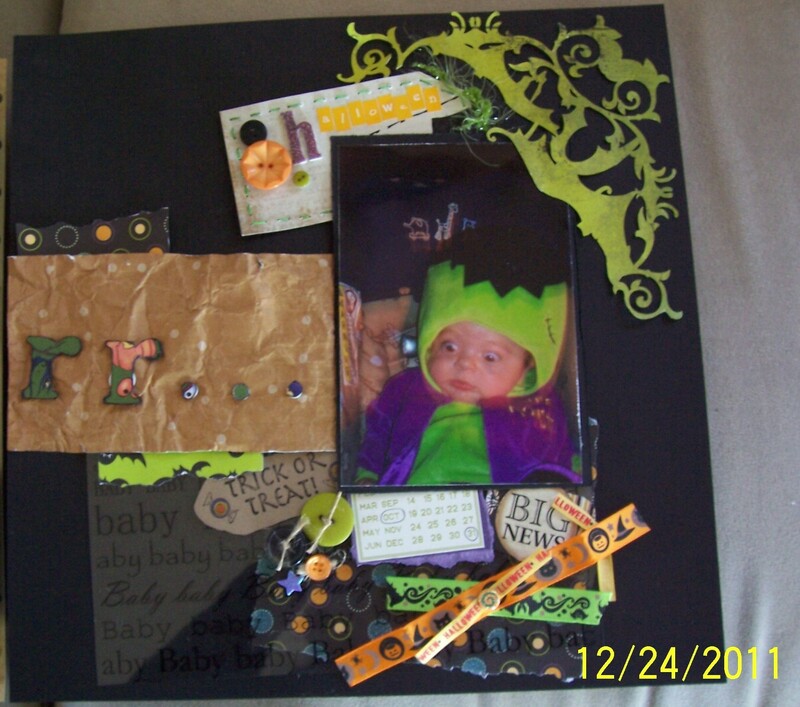 This layout highlights my little one’s 1st Halloween. 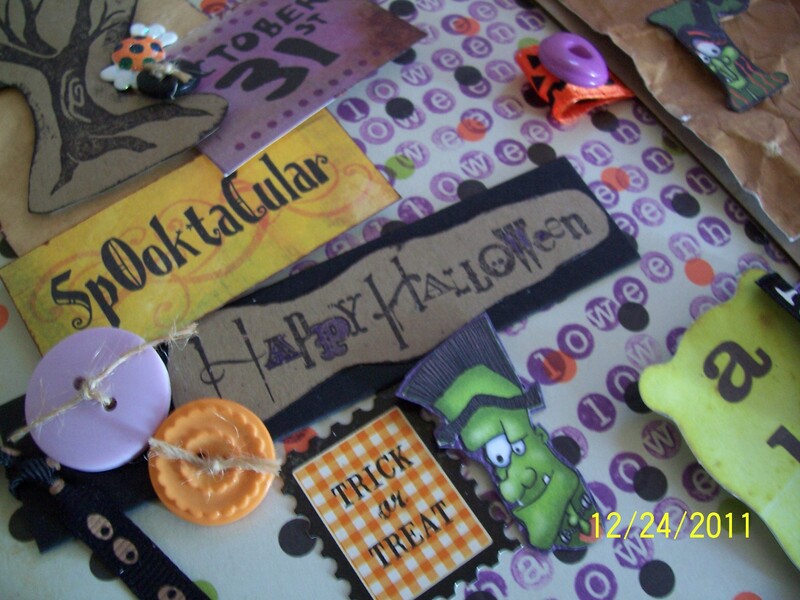 Most of what I used was from Memory Works October Express Kit from 2010 (I absolutely LOVE Halloween, one could even say obsessed, which I happily admit) So I’ll upload the pics and please, feel free to comment! So, I’ll be making the post I planned to make, plus an extra, to whet your appetite for more. Thanks for looking and leave comments! I want to try to update this once per week, however, it’s going to be a little crazy sporadic as I get used to the blog and get pictures for you wonderful people to see! 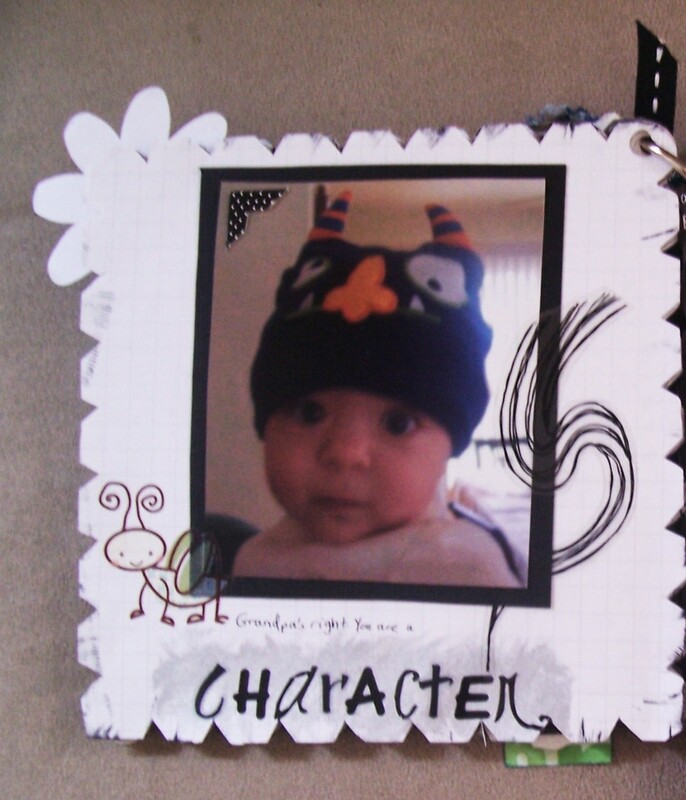 So here’s some pictures from a brag book I made my mother-in-law, featuring pictures of my little guy with different nicknames that have developed for him. I originally planned for the photos to be B&W and stick with colored papers, etc. However, the photos ended up being in color, so I flipped it, adding touches of blue and yellow (my hubby’s and my fave color, respectively). 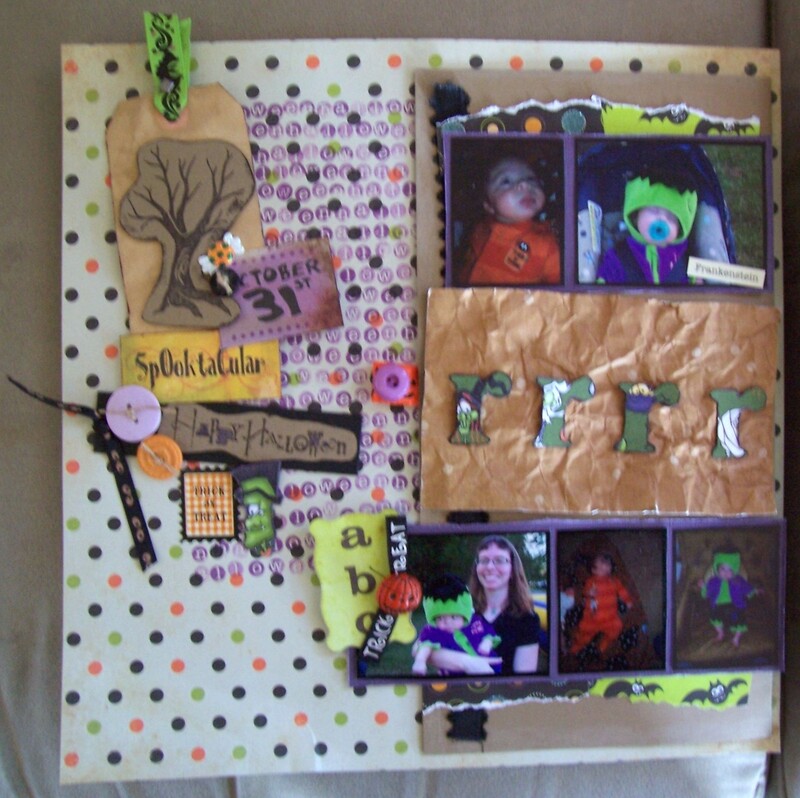 The album is chipboard album from 7Gypsies (I love that company, among others :P). So here’s the cover, plus the first 4 pages (yeah, I’m a tease, I know :P) Come back tomorrow for the rest! 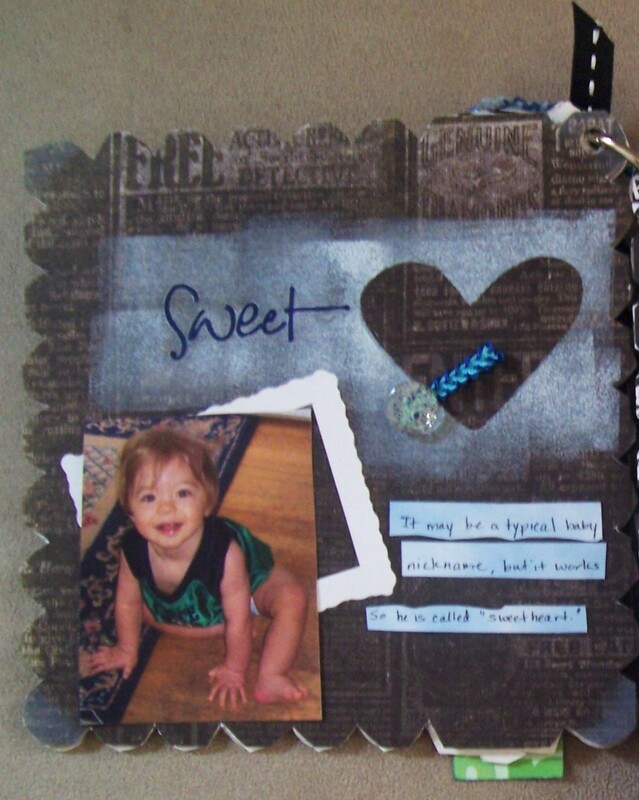 Sweet *Heart*, I stamped over a chipboard heart to make a mask, and the word “sweet” is a rub-on. 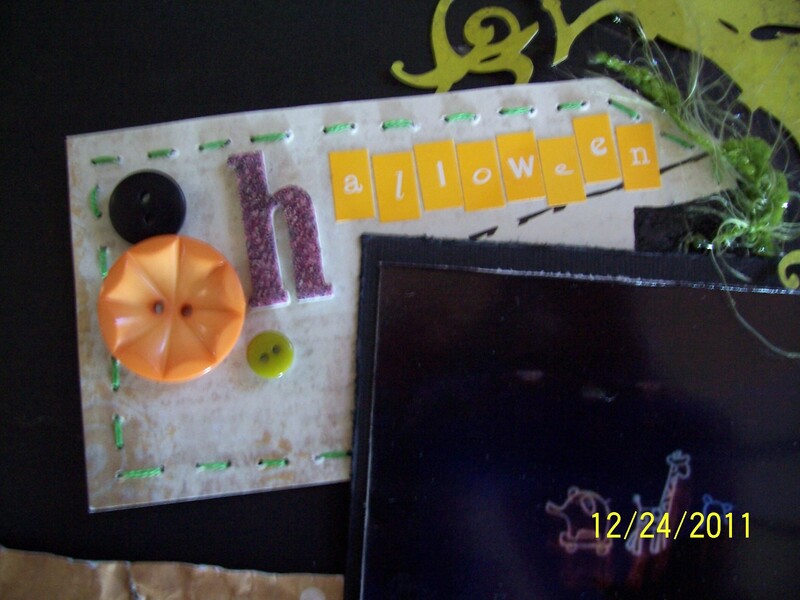 Our Boy; used buttons with fibers for the “O”‘s, stamped the other letters in black cardstock in white pigment ink, and adhered a blue button to the center of the die cut flower and used my white gel pen to cover the extra non-matching color. Character; Papa’s nickname for the little guy, and he’s wearing his monster hat. I insisted on it and everyone who saw it (he’s grown out of it) loved it. The cricket is a rub-on, while the swirl and letters (three different sets) are stickers. 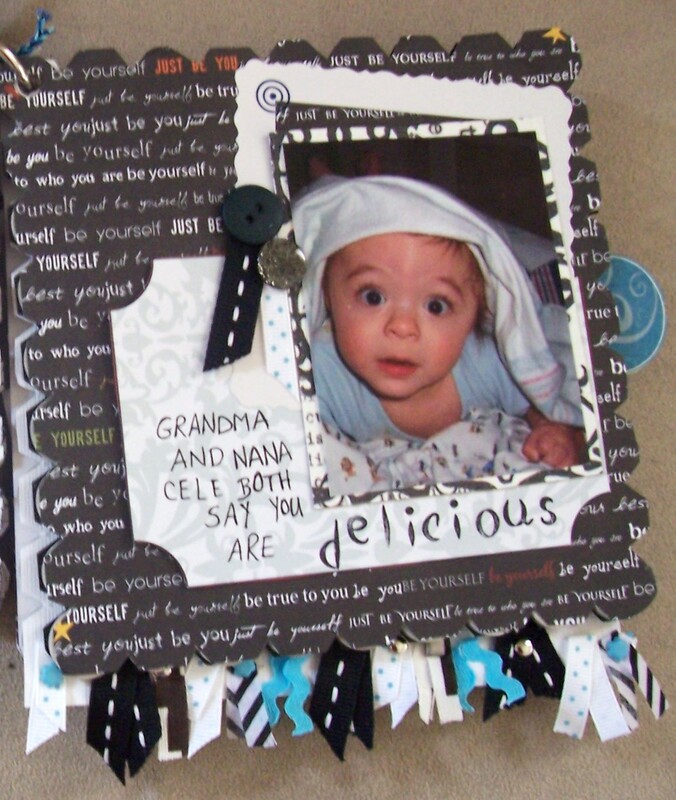 delicious; one of Nana Cele’s (she’s actually his great-grandma, but we thought that’s a mouthful for a baby, you think?) 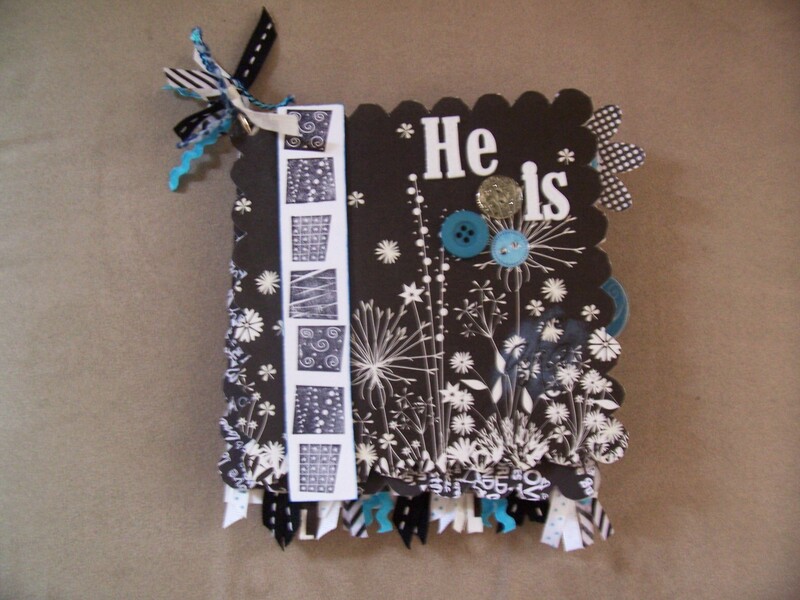 nicknames; the text is hand-written except for “delicious” which is alphabet stamps with black dye ink. So I LOVE, LOVE, LOVE to scrapbook (anyone who has a hobby/love/obsession in their life will understand my enthusiasm) and to cement that love even more, I became an Independent Consultant for Memory Works. 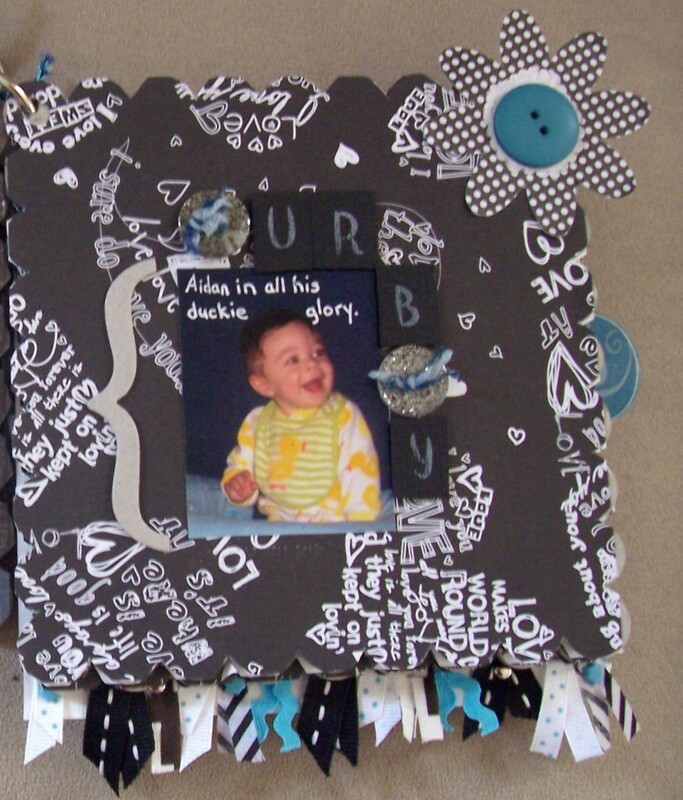 Memory Works is a direct sales company that, you guessed it, sells scrapbooking supplies. And not just papers; tons of stuff. Collections by designers you read about in the magazines (cuz i have yet to find that stuff in big box craft stores), tools, embellishments, inks….suffice to say, there’s a LOT! They also have their own line, called Simple Stories, and that line currently has more than 8 12×12 collections, along with a few other collections in smaller sizes. All the collections coordinate with each other, so you can stick with one line or combine, it’s up to what your muse tells you is right.